This law will discuss the Tzitzis obligations of a four cornered garment that is not owned by the wearer. Regarding reciting a blessing on a borrowed Tallis, and other related laws-refer to Chapter 2 Halacha 12! A four cornered garment is only obligated in Tzitzis if it is Halachicly defined as owned by the person who is wearing it. Tying Tzitzis and reciting a blessing to borrowed Tallis/garment within 30 days: If one borrowed from a friend a four cornered garment that does not have Tzitzis, then although it is not obligated in Tzitzis for the first thirty days of the borrowing period as explained above, nevertheless if one desires to tie Tzitzis to its corners within this time and wear it with a blessing, he may do so. Saying a blessing on a borrowed Tallis with Tzitzis: One who borrows a Kosher Tallis from his friend [after asking his permission] is obligated to recite a blessing upon wearing it if it was evident to the lender that he borrowed it for the sake of performing the Mitzvah of Tzitzis. If this was not evident, then the blessing is optional [for the first thirty days]. 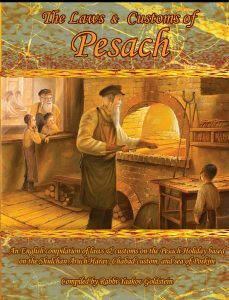 In normal circumstances, when borrowing a regular Tallis Gadol or Katan, we assume it is being lent for the sake of the borrower fulfilling the Mitzvah, and the blessing is hence obligatory. 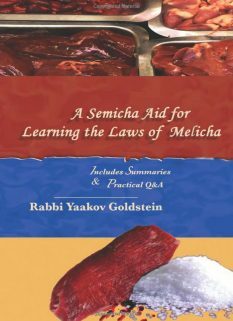 See Chapter 2 Halacha 12 for the full details of this subject! A borrowed four cornered garment that does not have Tzitzis, is not obligated in Tzitzis until after thirty days of the borrowing period [unless borrowed for the sake of the Mitzvah], although if one desires to tie Tzitzis to its corners within this time and wear it with a blessing, he may do so. 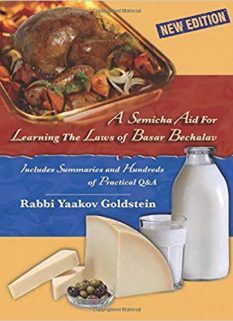 One who borrowed a Kosher Tallis from his friend [after asking his permission] for the sake of the Mitzvah, is obligated to recite a blessing upon wearing it. Practically today, may one borrow a Tallis Gadol/Katan without Tzitzis and wear it within 30 days? No. In today’s times that a Tallis is only borrowed for the sake of the Mitzvah, one may not wear a borrowed Tallis without Tzitzis even within 30 days. May one borrow a Pasul Tallis and wear it? 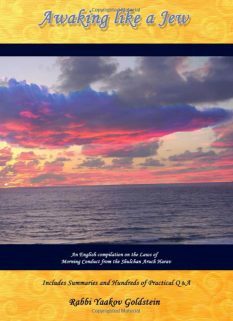 Example: May one borrow a Pasul Tallis Gadol from his friend in order to Daven and refrain embarrassment associated in Davening without a Tallis? Yes, it may be borrowed for up to 30 days. However this only applies if the Tallis owner is aware of the invalidation at the time of the borrowing. If one discovered his Tallis is Pasul, may he give it to another person as a present and then borrow it back in order to be able to wear without Kosher Tzitzis? What is the status of a rented Tallis? Some Poskim rule it has the same status as a borrowed Tallis. Other Poskim however leave this matter in question. What is the status of a stolen Tallis? A stolen Tallis is not obligated in Tzitzis, and one may hence not say a blessing over it. Nevertheless, the robber must be stringent not to wear the Tallis without Kosher Tzitzis. 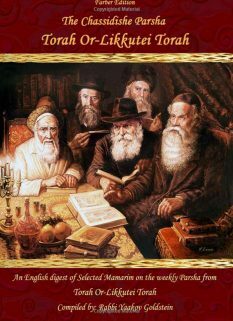 Is a Hefker Tallis obligated in Tzitzis? A Tallis that belongs to Hefker, and has intentionally not been acquired by the person wearing it, has the same law as a borrowed Tallis and is not obligated in Tzitzis [for the first thirty days]. 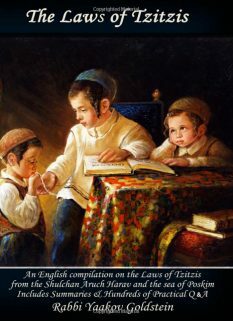 A jointly owned Tallis is obligated in Tzitzis. If one partner does not want the other partner to wear the Tallis, may he wear it with a blessing? No. It is forbidden for the partner to say a blessing on the Tallis in such a case. If brothers inherited a Tallis after their father passed away and there is dispute amongst the brothers, may the Tallis be worn with a blessing? If the Tallis is owned by a Jew and a gentile is it obligated in Tzitzis? Some Poskim rule the Tallis is not obligated in Tzitzis. Other Poskim rule it is obligated in Tzitzis, although a blessing is not to be recited over it. If the Tallis is owned by a man and a woman is it obligated in Tzitzis? Some Poskim rule the Tallis is not obligated in Tzitzis. Other Poskim rule it is obligated in Tzitzis, although a blessing is not to be recited over it. Thus, if a Tallis fell in inheritance to both sons and daughters, the sons may not wear it with a blessing until the daughters give up their ownership over it. 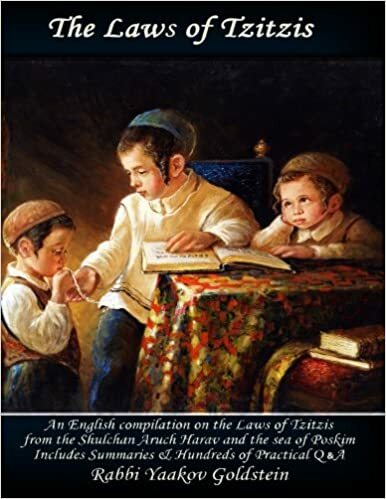 If the Tallis is owned by a man and a child is it obligated in Tzitzis? As otherwise it is considered as if the lender gave him the Tallis as a Matana Al Menas Lehachzir, and it is thus obligated in Tzitzis. Ittur Tzitzis 2/1 brought in M”B ibid and Chasan Sofer ibid; See there in Chasan Sofer that according to the Hagahos Ashriy a rented Tallis is obligated in Tzitzis. The reason: As the verse states “Kesuscha”, your garment, and it is hence exempt from Tzitzis.